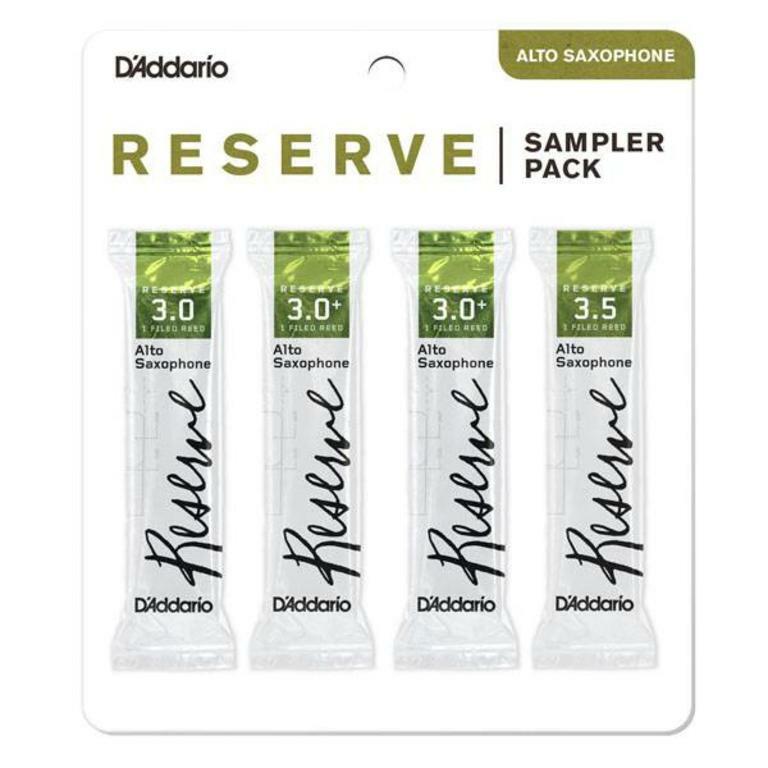 Reserve reed sampler packs allow the player to experiment with various reed strengths before committing to a full box. 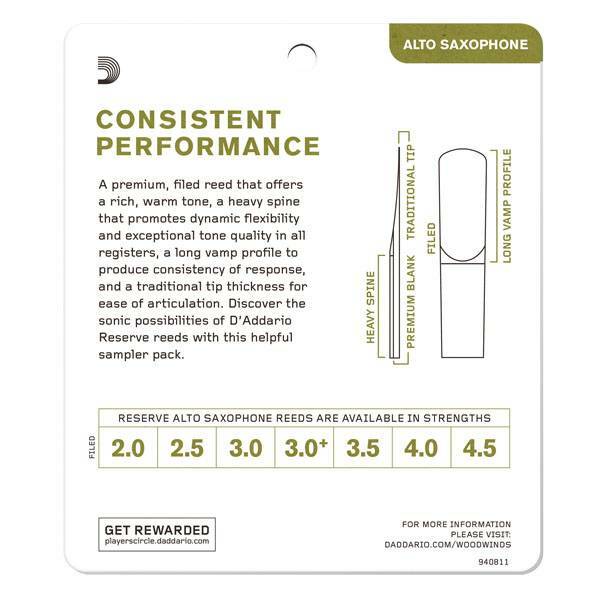 Each saxophone sampler pack contains four Reserve reeds in three different strengths. 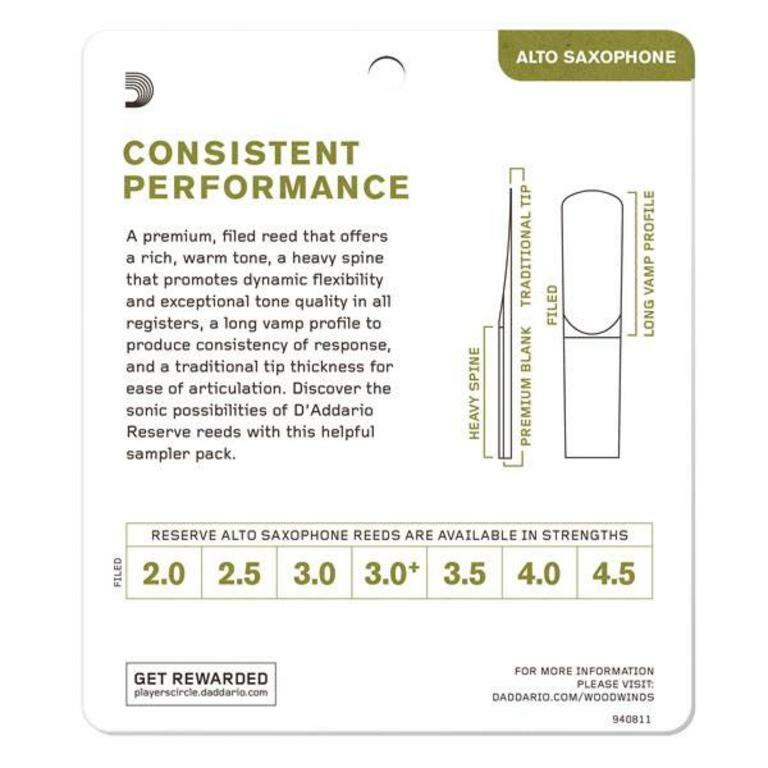 Each reed is individually sealed.